Nicholas JG Sykes, B Sc, Dip Ed, MTS, taught in high schools and a teachers college for over 20 years, in Jamaica, the Cayman Islands and the United Kingdom in science and mathematics, as well as religious education, becoming the chairman of the Association of Science Teachers of Jamaica in 1979. 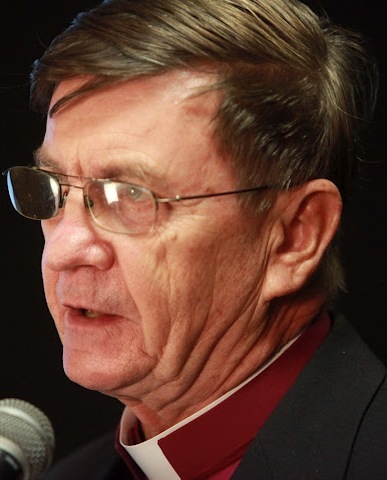 Ordained priest in 1976, currently the rector of St. Alban's Anglican Church, George Town, Cayman Islands, treasurer of the Cayman Ministers' Association and member of the Cayman Islands' Human Rights Commission. Published article ?An Investigation of Isotope Decay Constancy? and the book ?The Dependency Question?, as well as numerous shorter articles. He was made a bishop on the 26th January 2012.